This article discusses recent intention of the #Government of Ukraine to broaden #trade cooperation with #West African nations and the likely impact if the relevant agreement is reached. Visit our website if you are interested in the #Ukrainian economy or #doing business in Ukraine. The Minister of Agrarian Policy and Food of Ukraine has recently stated that Ukraine will seek to conclude an agreement on free trade zones with the Economic Community of West African States (ECOWAS). The Minister noted that the West African countries experience considerable growth of their economies and population, which results in higher demand for agricultural products. This is especially vital for Ukraine, which mainly imports wheat, corn, barley, sunflower and soybean oil, residues and waste from the food industry, condensed milk, oilseeds, etc. to Africa. While the growth of Ukrainian export to Africa has increased more than 24-fold since 1996, it is expected that launching of the free trade zones will lead to unprecedented increase of trade between the African nations and Ukraine. The Minister added that Ukraine is specifically interested in the market of Nigeria, which is one of the largest economies in Africa. Presently, the largest consumers of Ukrainian goods on the African continent are North African countries and Egypt in particular. In 2015, Ukraine managed to increase its export of various products to Africa, especially condensed milk, meat, cheese, yoghurt, confectionery, water, wine and tobacco. 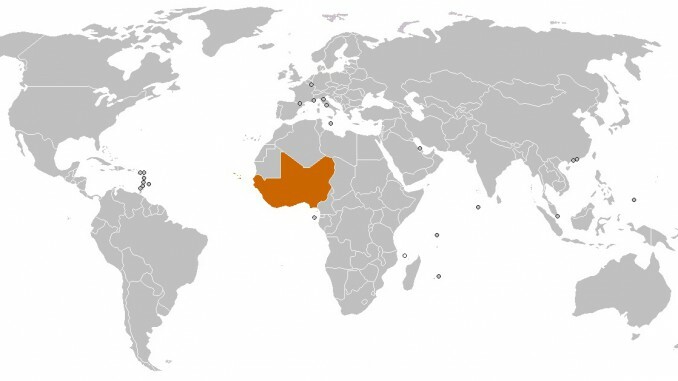 The ECOWAS comprises of 15 members, namely Benin, Burkina Faso, Cape Verde, Cote d’Ivoire, Gambia, Ghana, Guinea, Guinea Bissau, Liberia, Mali, Niger, Nigeria, Sierra Leone, Senegal and Togo. The organization was established in 1975 and stands for promotion of economic integration in all fields of activities of the constituting countries. We note that a long-awaited EU-Ukrainian free trade zone was launched on 1 January 2016. In addition, a free trade zone agreement between Ukraine and Canada was signed in November 2015, and it was announced that in 2016 Ukraine seeks to conclude free trade zone agreements with Israel and Turkey.